I think I even added more % wholegrain wheat than used in the recipe because the dough was too wet to work with and I was out of white flour at that moment. 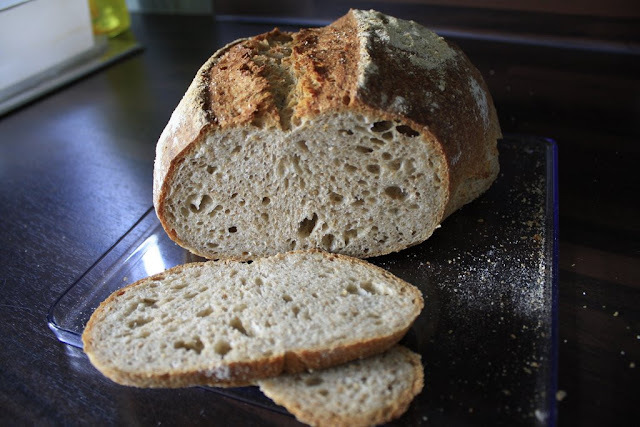 unfair to compare it to VT Sourdough! 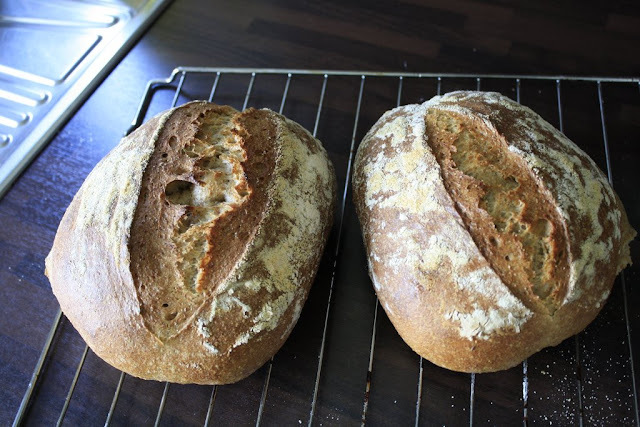 They do look like nice loaves; they have certainly opened well in the oven. I think you maybe are being too hard on yourself, comparing it to a sourdough. I too prefer the Vermont Sourdough to this Rustic Bread; I also prefer doughnuts to jam tarts, but they're not trying to be the same thing. They look really nice both loaves. Love that scoring. Lack of flavour is a problem with this bread.